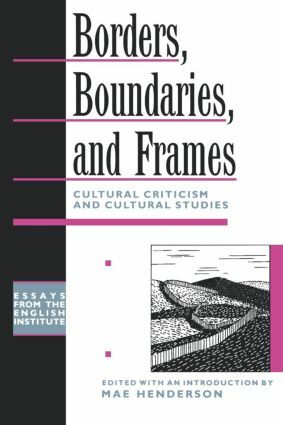 The essays in this volume take up the challenge of working out -- or reworking -- the problematics of the borders, the boundaries and the frameworks that structure our various and multiple notions of identity -- textual, personal, collective, generic, and disciplinary. The contributors to this volume write about subjects (and are often themselves subjects) who "refuse to occupy a single territory" -- who cross geographical, cultural, national, linguistic, generic, specular and disciplinary borders. Essays by Kathryn Hellerstein, Anita Goldman, Jane Marcus and Scott Malcomson exlpore the semiotics of exile and the problem of its representation in the lives and writings of individual aritists and intellectuals. Autobiographical criticism, as represented in the essays by Nancy Miller and Sara Suleri, enlargess our conventional notions of what consitutes literature in general and criticism in particular.